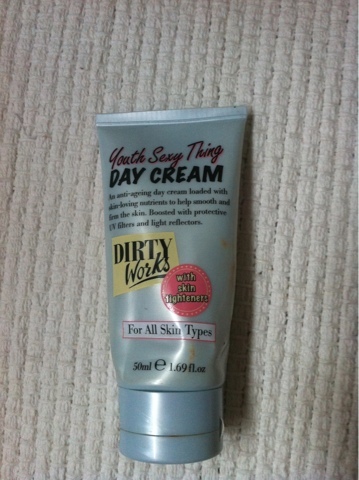 So I have used up my dirty works moisturiser from sainsburys! Boo! I loved it!! It was £5.99 and i thought why not try a cheaper one an see the results. So off i trot to Aldi, where they have an award winning day cream at...wait for it.....£1.89!! Can you believe it?!? But does it give good results? It was featured on Gok Wans how to look good naked and had great reviews, beat the expensive brands so thought I would give it a go. 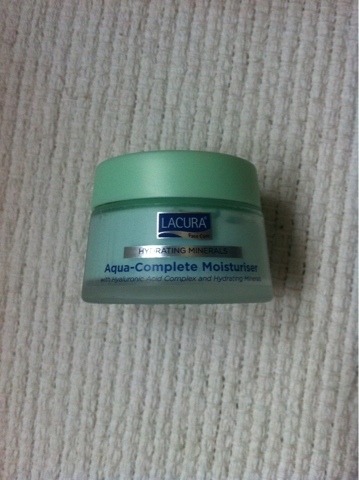 Lacura from Aldis states it is "aqua-complete moisturiser with hyaluronic acid complex and hydrating minerals for all skin types". 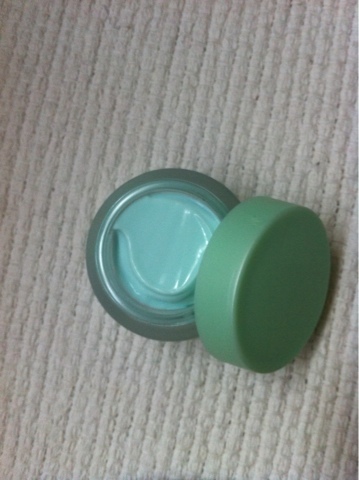 I tried it for the first time this morning and so far I liked it, it has a fresh scent, like cucumbers, glides on and left my skin feeling soft. Will see how it goes and let you guys know! Hi! i told my friends about it and they could not believe how cheap it is..we'll try to use it.